Coral Reef Club This spectacular beachfront location is nestled directly beside Henderson Park Inn at the western most end of Scenic Highway 98. Come enjoy the peace and serenity of Coral Reef on our quiet un-crowded beaches, reminiscent of Destin in years past. 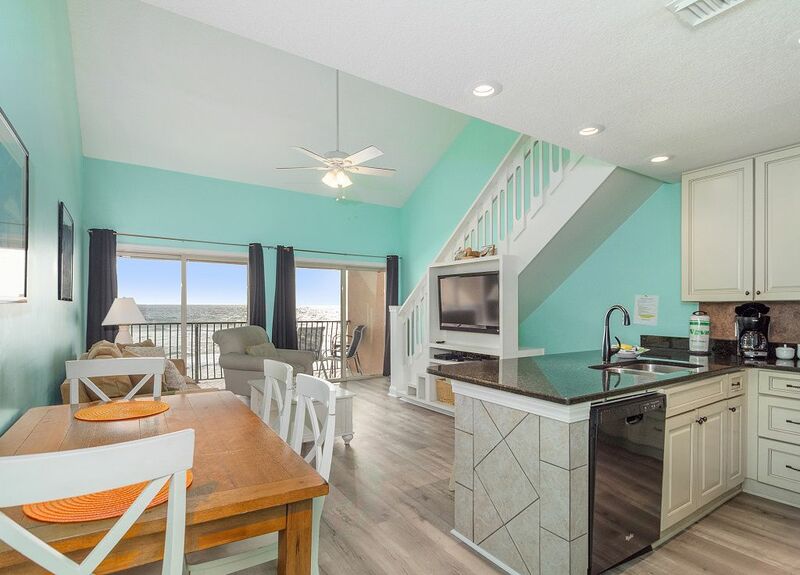 This 3/bd features a living/dining room with private balcony on the Gulf, a fully equipped kitchen and washer/dryer a hallway bunk alcove, king bed in master bedroom, 2nd level loft has a king bed, a full bath and bonus room with 2 full size beds. Step out of your condominium and discover that Coral Reef sits on 300 feet of private white sandy beach, perfect for families or couples in search of a home away from home. Three private beach accesses span the property with dune walkovers for easy beach access. Coral Reef is located so close to everything Destin has to offer. Some of Destinâ€™s finest restaurants are walking distance from your door. Shopping galore is only blocks away and by driving only a few minutes by car you will find the Destin Harbor, golf, and family recreation for all ages. Love staying in crystal beach, this is the 3rd time in 5 years! Coral reef club is clean, newly renovated rooms, and awesome beach and pool! We had an amazing time! The view was amazing! The condo is beautiful and was plenty of room for all of us. When going back to destin we will definitely be staying in this condo again if available when we go! Great location ON THE BEACH. I love how close the parking lot and beach access are. Cannot say enough wonderful things about this property. Hope to go back next year. The property was nice, only thing i didn’t like the fact that the office wasn’t helpful because they don’t manage that particular condo. Overall we had a lot of fun, we loved that the beach wasn’t crowded, condo was quiet, it’s close to everything. I don’t normally leave negative feedback but i don’t want other renters to be disappointed like I was. We have stayed at Coral Reef several times in the past. We love it because it is small complex and it’s quite! It’s location is the best in Destin in my opinion. But this property needs some updating! My first impression was that it felt dirty upon arrival! I had to clean several areas of the condo that housekeeping missed! I moved the couch to make sure nothing was under it and it had items from previous guest under it. The condo could use a fresh coat of paint throughout and the cheap carpet has got to go! Also the washer dryer was hit or miss causing lots of wasted time trying to get it to work! Don’t get me wrong once we were settled in I ignored the minor flaws and we had another great week at the beach! We loved the condo and how it’s right on the beach. It was perfect for 2 families with kids as it basically has 2 separate areas for each family. Highly recommend.